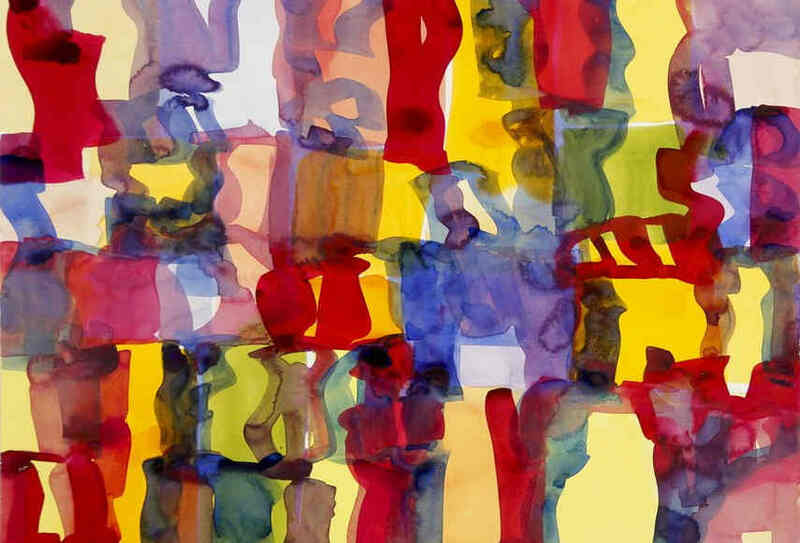 For the several decades, Melissa Meyer produces abstract paintings with the particular focus on optical and compositional aspects within the canvas. Her artistic beginnings are associated with the feminist practice and therefore the notable agenda of hers was to introduce woman painting. 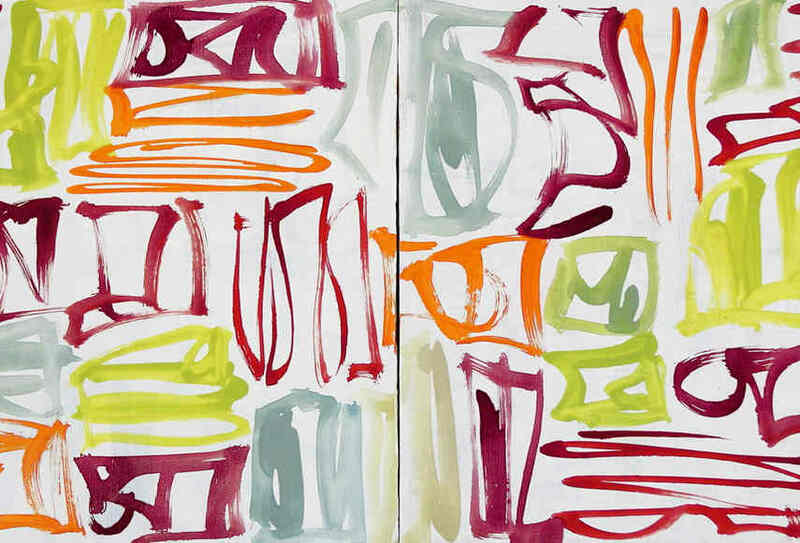 As the time passed by her activity as an artist and educator was growing she remained true with the initial principles, yet her abstract concepts were changing in direction of experimenting with form and style. Melissa Meyer was born in 1946, in the Bronx and grew up in Queens. Her studies lasted in between 1968 to 1975 and during that time she conducted a scholarship in Provincetown Workshop. 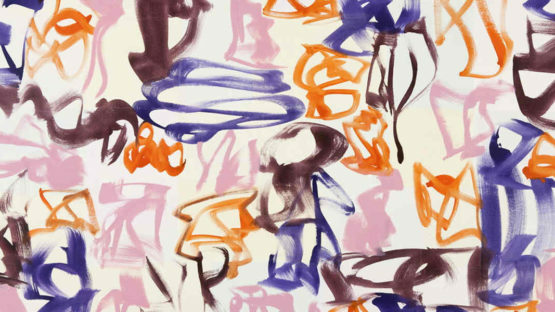 With the help of Helen Frankenthaler, Meyer visited artist community Yaddo in 1974 and experienced and gathered information about completely different approach to the educational and practical process. During the course of time, she became a frequent participant and even a board member. 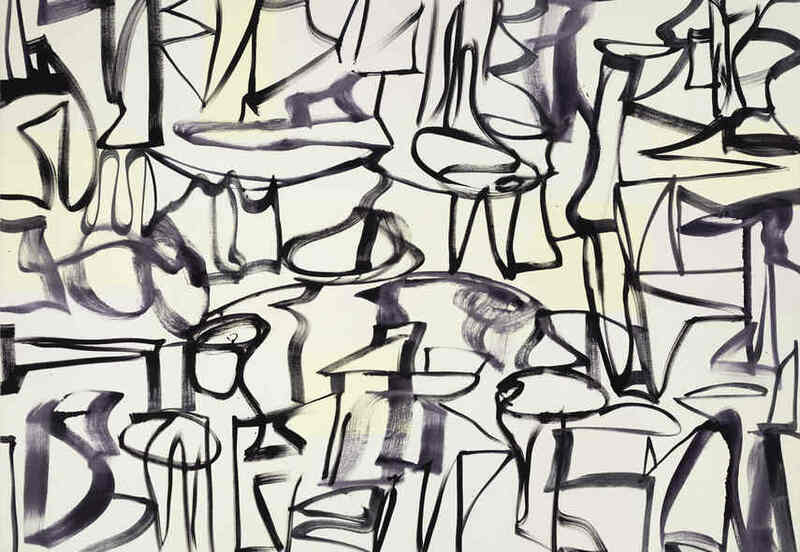 Besides that, the number of grants and residences is impressive including such is one from The American Academy in Rome or from the Pollock – Krasner Foundation. Thanks to her achievements Melissa Meyer was called to teach at the School of Visual Arts in New York where she still works. 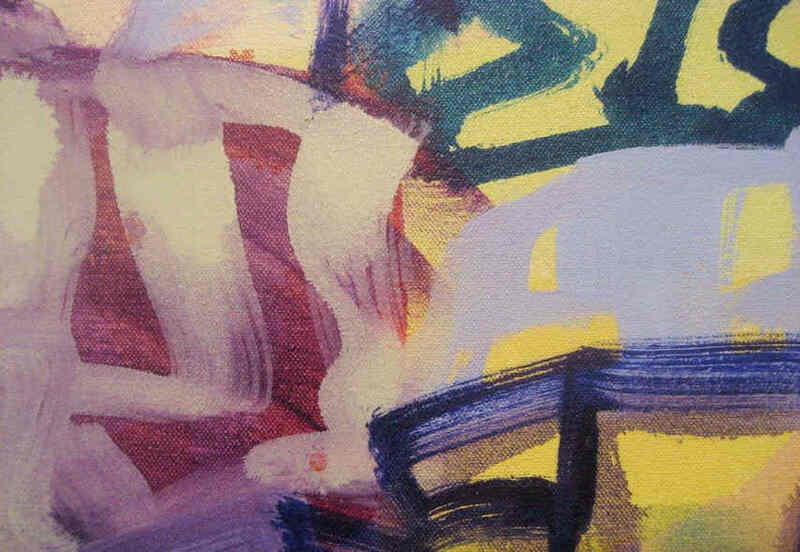 Abstraction is a daring and bold direction when it comes to painting since it derives on mapping imaginary gaps and transferring it on canvas. In the case of Meyer’s work, the task to maintain this rather modernist dogma, which is rooted in the opus of Wassily Kandinsky or Abstract Expressionism, is moved forward. 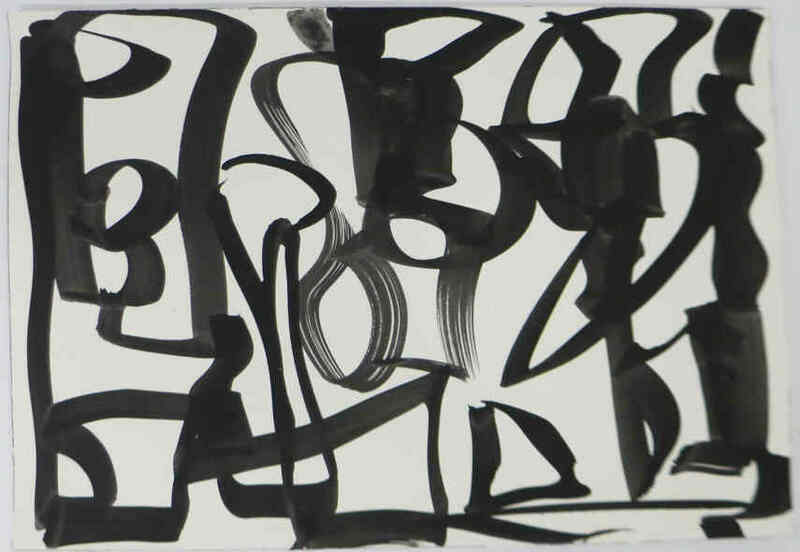 She transposes peculiar shapes in motion, forms that are similar to some sort of primitive calligraphic marks. The grid as a base or a frame is just an underlying structure that she uses like any tool. Independently from the media of watercolors or oils, Meyer produces thick, yet transparent constellations consisting of floating and energetic forms. The rise of the feminist movement in the early 70’s opened a series of questions in regards to the segregated position of woman in patriarchal society. That has reflected the arts in particular and significant essays were written in order to determine why there are no great woman artists, what is female art, etc. During that time Melissa Meyer in collaboration with Miriam Schapiro wrote a text called Femmage within then influential Heresies article. They have introduced femmage as a type of art that was made by the use of materials like cloth, paint, and fabric which had long been associated with women’s activities in the home. According to them, the style undermines the woman heritage and simultaneously recalls quilting and Cubism and has a woman-life context and that it celebrates a private or public event. By the 2000’s Meyer was rather established and prominent figure so was summoned to manage commissioned murals. That period is interesting in the light of Meyer’s departure from painting to watercolors and her beginnings of working with Photoshop as an aid in the composition of the murals. Among important murals was the one done for Shiodome City Center in Tokyo. After that came a commission for the Queens Hospital Center and the Peninsula Hotel in Shanghai. The work of Melissa Meyer is included in a large number of both private and public collections from MOMA, over The Metropolitan Museum of Art to The Brooklyn Museum. Melissa Meyer had over 40 solo exhibitions, from 1976 onwards, and has also participated in numerous group shows. The continuity of her art practice suggests openness in regards to a search for new forms and relations between the elements within canvas, as well as subtle resistance and focus in regards to ever changing requests of the art market. Melissa Meyer lives and works in New York.